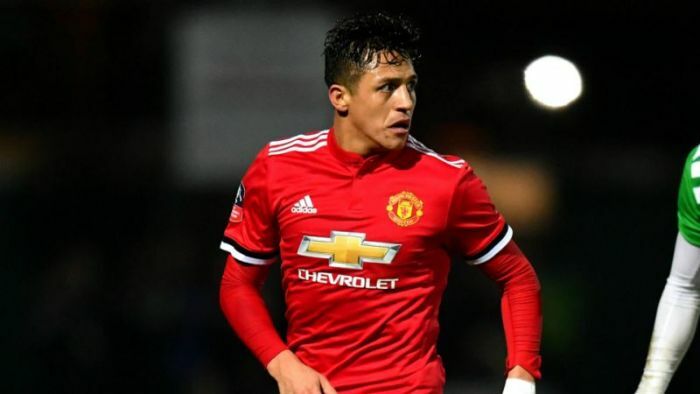 Alexis Sanchez was one of the nine players missing from the Manchester United squad that travelled to London by train on Saturday. The Chilean limped out of his side’s 2-0 FA Cup win over Reading with a hamstring problem and doesn’t appear to have recovered in time. According to the Manchester Evening News, Chris Smalling, Eric Bailly, Antonio Valencia, Matteo Darmian and Marouane Fellaini were also missing. Paul Pogba however made the trip, after initially emerging as a doubt for the fixture, because of a knock he picked up against Reading. Anthony Martial and Luke Shaw were also spotted travelling to London. Joe Garner is the only youth player that has been included.